One of the most common themes in the questions I am asked is how to lose weight on the plant-based diet. I always try to address this topic carefully, as it's a sensitive subject. Having struggled with an eating disorder in my teens and twenties and body image issues most of my life, I understand how important one's mental state is to feeling good physically and emotionally. Changing my diet has had an ongoing impact on my life, including healthy weight loss and the ability to maintain it. Additionally, learning about how food impacts the body helped me feel more grounded and comfortable in my skin, and reduced unhealthy eating habits (like binging and purging). I've also discovered that there is no such thing as a quick fix or a one-size-fits-all trick, and that keeping the body thriving inside and out is a perpetual process. That's why I love coming across weight loss advice that offers long-term, nutritious tips featuring food and healthy emotional guidance. Here are some of my latest favorites, starting with 10 delicious, body-friendly foods. Want to incorporate more fruit and vegetable juice into your life but not sure about the ins and outs of the process? If you're looking for fresh juice recipes and more information on how these nutrient-dense beverages can make an impact on your health, here are some resources to guide you. 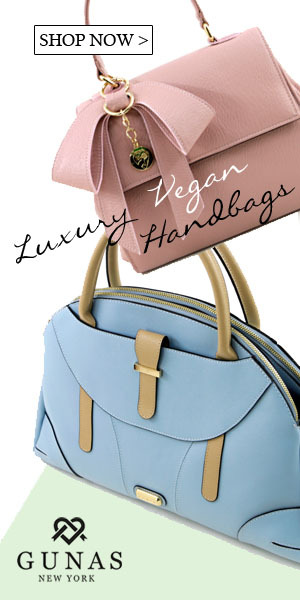 The vegan lifestyle is about more than what one eats, it's encompasses every purchase. But don't let that overwhelm you because cruelty-free products are in ambundance and there's no need to feel like you're comprimising on how you feel, act or look. Just as there are many meat and dairy alternatives in the food realm, there are animal-free items galor for home goods, cosmetics, clothing and beyond. And if you want to take it to another level and make your belongings environementally-friendly, no problem! In April 2012 I received a Facebook message from a guy named Alex. He said he was a fan on my videos (even bought a birthday present because of my recommendation) and offered some advice on getting more views, so he immediately caught my attention (ha!). I was extremely impressed with his YouTube knowledge and thus it was no surprise to discover that he had a very popular channel...actually, channels. We've kept in touch ever since and to this day Alex sends me tips when he feels inspired - I owe a lot of my most successful video features to him! The least I could do to thank him was to feature him here and as you'll see he's a very cool "doctor" (you'll get my reference upon reading further). I am so honored to be chosen as Eco-Vegan Gal's Viewer of the Month! My name is Alex Charak. I'm an actor/writer/YouTuber in New York City. I produce web content for youtube.com/drcoolsex and youtube.com/chronicgamergirl. I first stumbled across Whitney when I curiously searched Atlas Cafe NYC on YouTube. Even though I lived across the street and ate there everyday, I wondered if there was any video of it online. The first thing I saw was EvG's review. I watched some other videos, subscribed, and now follow closely on Facebook. 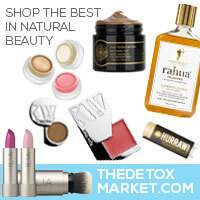 Eco-Vegan Gal helps me to make smart, environmentally conscious purchases and to discover new, delicious food options. When I was growing up, I didn't get much exposure to veganism. My parents ate meat and I did as well. Then, when I was sixteen, I saw "Super Size Me" and it changed my life. I cut out the fast food completely. But as I explored healthy eating online, I saw those awful PETA videos of chickens being hammered, cows being sliced open and all those other videos make you want to throw up. Once I saw what was happening, I had to stop eating meat. At eighteen, I went vegetarian, and, at nineteen, vegan. I felt morally at ease and healthier physically. My parents have slightly high cholesterol genetically and I still do as well. It's something I have to watch and being vegan helps me combat that. Of course being vegan doesn't mean being healthy. I can't eat vegan peanut butter chocolate cake from Atlas everyday and stay fit (even with my five floor walk up apartment). Now that I moved into a building with an elevator, I have to watch my diet even more so. I'm about to bulk up in muscle and drop fat like crazy for a role in a new web series called "Alligator Man" about a superhero who is half alligator and…yes, half man. Thanks to some EvG blog posts, I've seen that it is possible to do in a healthy, vegan way. For anyone who needs a quick defense of veganism, I like going to this Albert Einstein quote: "Nothing will benefit human health and increase chances of survival for life on earth as much as the evolution to a vegetarian diet." People some times don't understand veganism, but they sure do admire Einstein. Or toss a topical one at them with Abraham Lincoln: "I am in favor of animal rights as well as human rights. That is the way of a whole human being." If it that doesn't get them off your case, try this Mahatma Gandhi: "To my mind, the life of a lamb is no less precious than that of a human being." They'll get real quiet because no one likes to badmouth Gandhi. It's so nice to be catching up on all my old videos! Like my last review on 118 Degrees, this piece on Pure Food and Wine has been on my mind since I tapped it last year. In fact, my sister has been bugging me about it because she thinks it's one of the best meals she's ever had with me, and I agree. Watching the footage again reminded me of how incredible the food is there (and how nice NYC is in the summer!). My meal at Candle 79 was one of the best I've ever had. Everything about this restaurant is superb, from the food to the atmosphere to the wait staff. I had the pleasure of interviewing Bart, the co-owner, and Francesca, the manager, who summed up the mission of the restaurant and provided insight on veganism.Thank you to everyone who recommend Candle 79. I am so glad I went and I think it should be on the top of everyone's agenda when they're in New York City. Copyright Eco-Vegan Gal, all rights reserved.